PEC, JSC, JDC, PSC Results 2017: As many as 3 million+ candidates sat in the Ebtedayee and equivalent examination. The Primary Education Completion result has been declared today with a pass percentage of 95.18. It is all available on the official website. Primary and Mass Education Minister Mostafizur Rahman gave the results to Prime Minister Sheikh Hasina at the Ganabhaban around 10 am on Saturday. Gracing the event, Education Minister Nurul Islam was also present. The PEC and its equivalent Ebtedayee exams held from November 20 to November 26 around the country. Around 3,096,075 examinees took part in it at 7267 exam centers. Moreover, the JSC and JDC examinations have suffered a big fall this year in the success rate. The Junior Secondary Certificate and Junior Dakhil Certificate pass percentage have come down to 83.65 this year. It is a significant fall of around 9.41% from last year. Students getting GPA 5 this year were only 1,84,397. Last year, the numbers were 2,81,898. It’s around a 1,00,000 down. In the meantime, the figure for JDC students who secured GPA 5 is 7231. 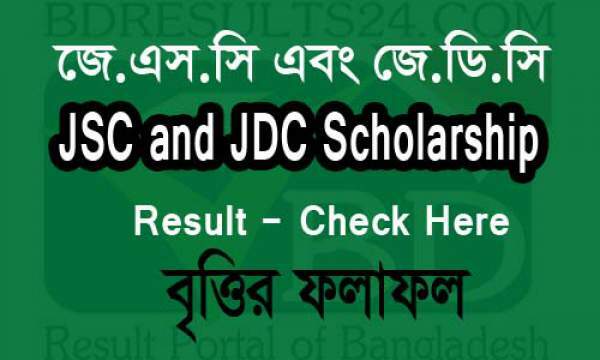 All the results are published on Ministry of Education http://www.educationboardresults.gov.bd. Students can avail their results via SMS too. They need to send the message in the following format on the number given below. The JSC and JDC exams took place from November 1 to November 18. Around 2.46 million students participated which took place at 28,621 exam centres this year. Out of them, the male and female were 11,44,778 and 13,24,042 respectively. 20,90,277 examinees appeared for the JSC while 3,78,543 took part in the JDC examination in 2017. A total of 659 overseas students also appeared from 9 centres in the JSC exam. The success rate for this year’s JSC exams stood at 83.65 percent, against 93.06 percent in 2016. The JDC exam had a 86.80 percent pass rate this year, compared to 94.02 percent last year. The question papers were allegedly leaked on Facebook. Stay tuned to TheReporterTimes for more education news.